Website design can seem like a complicated process, but when it comes down to it there are a handful of items that are critical to making a site effective in promoting your brand and expanding your business. 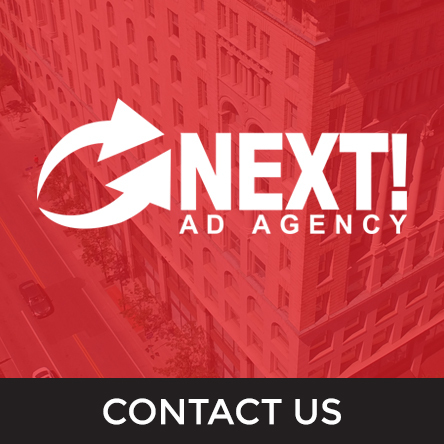 At NEXT!, our website design team has a strong grasp of these features and specializes in making custom websites that show off your business and promote your brand. Read on for an inside look from one of our designers about the key elements that make a great website. The arrangement, flow, and distribution of content on your website is important because when the content that users are looking for is easy to find, they’re more likely to return to the site and, more importantly, use your services. Through the use of call-to-action items, prominently displayed links and headers, and laying out the content itself in a way that draws the user’s attention and flows naturally down the page (and to other pages within the site), a strong layout is a critical foundation to an effective website. Your website is a major representation of your business’s brand, and a key part of that is the use of colors. Generally, the color scheme of your website will match that of the logo, using the brighter and more distinctive colors as accents to draw attention to key elements throughout the site: header text, links, call-to-action sections, etc. Much like colors, fonts are often taken from or at least inspired by the logo. Font choice depends on the business type, branding, and overall feel of the site. A site that wants to project a calm, friendly feel would go for a more decorative, serif (ex: Georgia, Roboto) font for the headers and possibly body text. A site that is sleek and modern would likely use bolder, sans-serif (ex: Open Sans, Montserrat) fonts. In addition, varying font weights (light, regular, bold, etc.) can be used to draw specific attention to key phrases and elements on your site, as well as provide a nice visual flair. Photos are a direct view into your business and immediately engage with users. Photos of the office, staff, and services are great for connecting with users, showing off what your business does best and providing a personal touch. Photos can also provide a visually interesting element as the background of content sections, often with a color overlay so that the content is still legible. As commonplace as mobile devices such as smartphones and tablets are, it is crucial that your business’s website is mobile-responsive. Make sure that when it is viewed on devices other than your main desktop or laptop computer, it still retains the general design, functionality, and most importantly, content. At NEXT! Ad Agency, our designers pride themselves on designing websites that combine both form and function to create a unique presentation of your brand that effectively promotes your business, engages with customers, and increases revenue. Contact us today at (585) 427-0020to get started!